The –ForceChangePassword option is to ensure the user changes his password the first time he logs on, either to the Online Portal or to OWA. 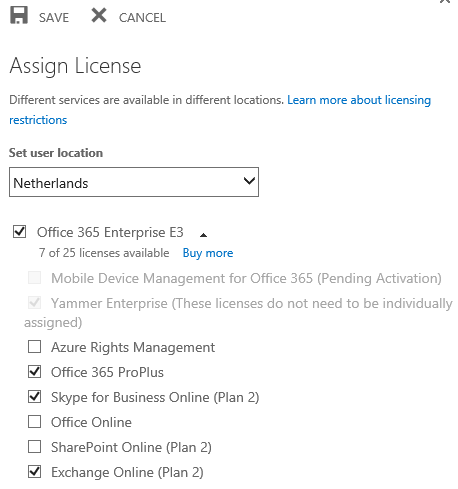 Optional is the -BlockCredential $true option, which create a disabled or blocked account in Azure Active Directory. Please be careful with removing licenses. When you do the data stored in the accompanying application will be deleted as well! 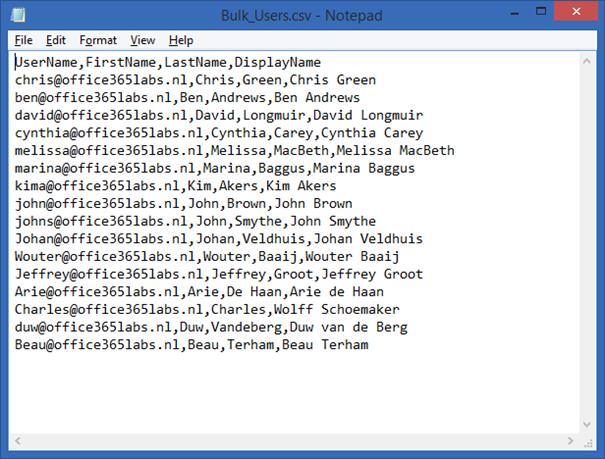 When users are deleted, they are not permanently deleted but they are stored in the Azure Active Directory recycle bin where they stay for another 30 days. Only then they are (automatically) permanently deleted. 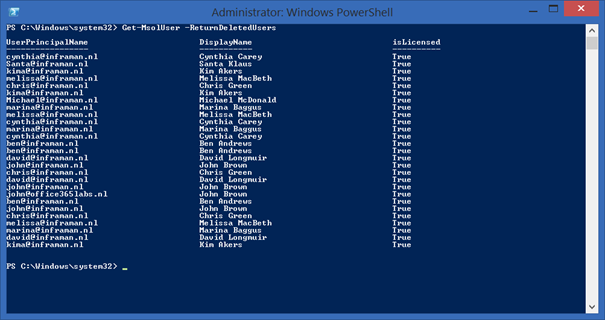 You can use the –RemoveFromRecycleBin option with the Remove-MsolUser command to remove the user account permanently, without temporarily storing them in the recycle bin. Please be aware that when you remove a user account the user’s data is also deleted! The –ForceChangePassword will make sure the user changes his password after the first logon to Office 365. The ValidityPeriod determines the time the password can be used and this can range from 14 days to 730 dayes (2 years). The NotificationDays is the number of days a user gets a notification before the password expires. This can range from 1 day to 30 days. Hi, and thanks for the post. I’m trying to remove Yammer licences using the example above but it doesn’t seem to have any effect. I notice Yammer is still ticked (but greyed out) in your screenshot (as normal) – are you able to confirm whether it prevented users from logging on to Yammer for you please?